Things are about to get a lot more stupider! TLC has announced that it is taking all the wig snatchin’, face bitin’, American dollar harvestin’ fun that the family of Chantel Everett gave us while appearing on 90 Day Fiance: Happily Ever After? and turning it into a new spin-off show! 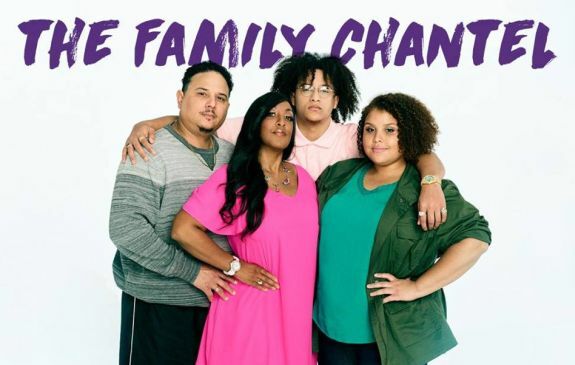 The network will soon premiere The Family Chantel, featuring Chantel, her husband Pedro Jimeno and their families, including Chantel’s parents Karen and Thomas, and her siblings River and Winter. Tell us how you feel about The Family Chantel, Pedro! Howard Lee, President and General Manager of TLC released a statement about the show. They’re also good for a physical altercation…or seven. We first met Chantel and Pedro when they appeared on the fourth season of 90 Day Fiancé. They lied to Chantel’s family about their engagement and told them that Pedro was here on a student visa, not a K-1 visa. When “The Family Chantel” (as Pedro calls them) finally found out the couple was engaged, things didn’t go well. They were convinced that Pedro was only here to “harvest the American dollar” and weren’t shy about letting him know it. The last time we saw The Family Chantel and The Family Pedro, they were duking it out over the dinner table, with Chantel’s mom ripping the wig right off Pedro’s sister’s head! This is the first of the “90 Day Fiance” spin-offs to focus on just one couple. According to E!, TLC will air a special called “Pedro & Chantel: The Full Story” on Monday, April 15. The actual show will air Monday nights starting in July on TLC. No surprise here. You could tell the family Chantal has been angling for a spinoff since the day the cameras showed up. Please spare us of any more pain of watching this couple and their family drama! Jell no we will not be watching would prefer to have fingernails jerked off! Fame seekers at their finest!! Both families can agree on one thing, they will play nice for the big TLC checks!! Of all the couples the pick these two? TLC must be desperate or dumb. Pedro’s family are not the problem. I personally find Americans extremely rude and don’t know how to behave towards other cultures. You seem them in Europe sticking out from a mile because of the way they behave just loud and rude. American woman also act like spoiled brats expecting to be number one. The mother is always head of the family and you better respect her. It would be interesting to have a journalist dig into mother Pedro’s business a bit more. Wasn’t she basicly running some kind of fraudulent green card scheme? But TLC hired her again, haven’t they learned anything from the Duggars or Mama June? They probably don’t care. I bet there are some American victims that have a lot to say about mom’s ‘dating/ marriage service’. Great, just great. TLC is dumbing down yet again. Can’t wait. The family Chantel ars train wrecks that I can’t stop watching. I’m waiting for Pedro’s mom to knock out his mother in law. Quite frankly, I don’t really care about who comes out on top of that showdown. I just enjoy watching them all get more stupider! I don’t know if I can stomach watching his sister every week. Hopefully she won’t be on everytime. Are we watching the same show?!? If Chantal and Pedro divorce, it will 100% be her family’s fault. They have ZERO boundaries and insert themselves into her marriage constantly! They need to back off, but they won’t because they are on tv. Same with his family. I feel like both families are the problem…Chantel needs to get her family in check, and Pedro needs to stop sending his family money and TV’s. Plus Chantel needs to stop telling her family about every bump in her marriage…The family Chantel already don’t like him, she honestly makes it worse for him every time she complains. I also really don’t like River. He’s such a moody, disrespectful brat.